It has been entirely too long since I’ve done a Cute Outfit Ideas of the Week post and I apologize! I know those are some of your favorite features and I have every intention of doing them weekly again. Today’s cute outfit ideas is all about that perfect blouse and I have three of the most gorgeous, lovely, adorable, *insert own adjective* ones to show you today from an online store you need to hear more about – HumbleChic.com. When you arrive on their site, you’re instantly offered $15 off your first order of $75 or more. Plus, they offer free shipping on orders of $75 or more, so win-win on your first order! I live in a town that is super casual. I live a lifestyle, meaning work from home, which is also…super casual. So for myself personally, jeans and the perfect blouse is my main go-to outfit. I like to spice it up a bit with accessories, footwear and the perfect bag. I often have people tell me how cute I look or how they wish they could dress like me and guess what? You can! I promise I’m not reinventing the fashion game or have some super secret fashion knowledge stashed in my brain. I shop at stores that offer modern fashion, such as HumbleChic.com. I start with a foundation and then layer on. I experiment. I have fun. Speaking of having fun….let’s get to these cute blouses shall we? Everything you’ll find below is from HumbleChic.com’s New Arrivals and Best Sellers. 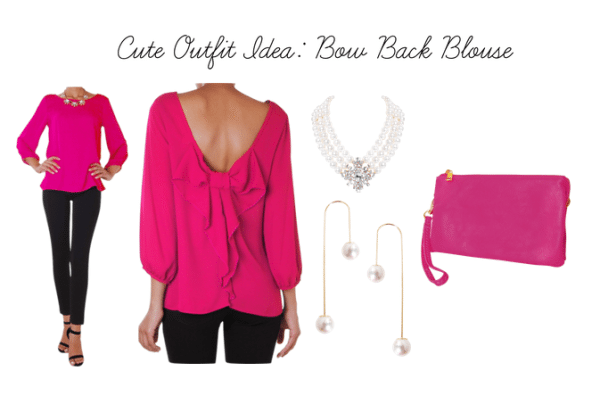 This fuchsia Bow Back Blouse instantly caught my attention. Dress it up with a pair of black pants and heels or go more casual by pairing it with jeans. The pearl strand necklace, drop earrings and fuchsia bag kick this outfit into date night material status. I love a simple, yet classy black top. They’re so easy to dress up with a pair of earrings and other accessories. 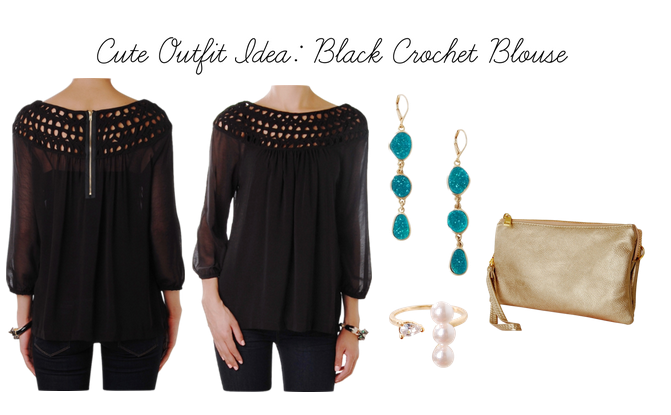 I have several black tops that I love and I often add some color with my earrings and/or handbag. 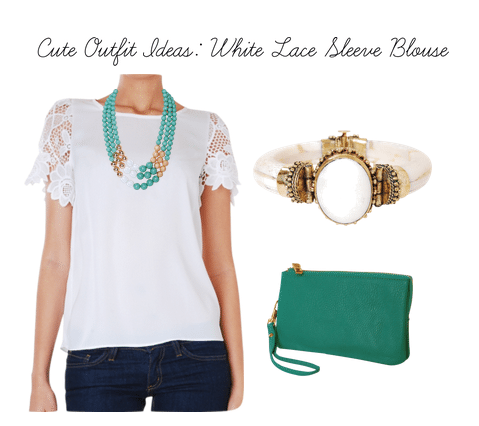 This white blouse adds a really feminine touch with the lace sleeves. Add pops of color with a necklace and handbag. You can pair it with jeans or black pants for a dressier look. Which cute outfit idea was your favorite? I’m still head over heels in love with the bow back shirt and am thinking about adding it to my ever-growing blouse collection. It would be perfect for a Valentine’s Day date, don’t you think? Be sure to visit HumbleChic.com to see more of what they have to offer. Have fun browsing!